Join us this week as we welcome country music singer songwriter, Madelyn Victoria. Victoria grew up in the deep south of Texas, in Harlingen, performing in public for the first time, during a local Christmas Pageant, at age 5. Madelyn has sung the National Anthem at United League games, and at local high school sporting events, political rallies, patriotic ceremonies, rodeos, and stock shows, including the 2009 Los Fresnos PRCA Rodeo in Los Fresnos, Texas where Madelyn Victoria was crowned the inaugural Rodeo Queen. This was one of many crowns she has earned including Cameron County Cowgirl, being named her high school’s homecoming queen, Miss Texas Homecoming Queen, and 2nd Runner Up for Americas Homecoming Queen. More recently Madelyn Victoria and her band have opened for some of the biggest names in country music, including Tracy Lawrence, Clay Walker, Zac Brown Band, The Charlie Daniels Band, and more. Madelyn also gives back to her community, by volunteering at local Motor Training events for special needs children, singing to the children at hospitals and rehab centers and by starting her own annual event called “Octave Higher Christmas” for children. Madelyn's latest single release with Star 1 Records and MTS, is “He Only Loves Me on the Dance Floor” is available Now on iTunes. We will talk to Madelyn about her upcoming schedule, get a behind the scenes look at her music, feature her latest songs, and ask her to share her message for the troops. 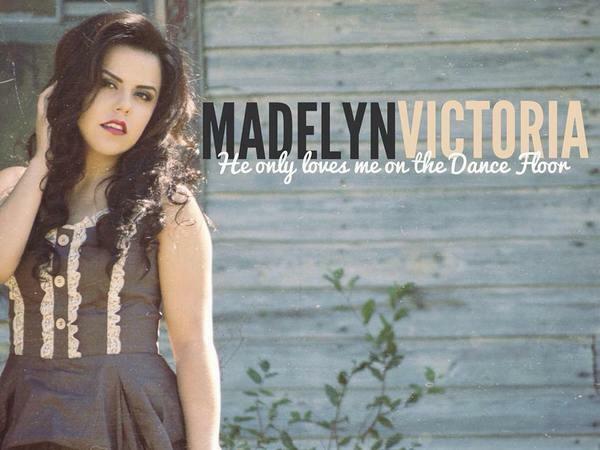 Please be sure to visit Madelyn Victoria at http://www.madelynvictoriamusic.com/ and spread the word. Fans are welcome to call in and speak live with Madelyn during the show (718) 766-4193. If you would like to participate in the live chat during the show, you must sign up on the show site first and then log in during the show. Our message to the troops: WE do what we do, because YOU do what you do.